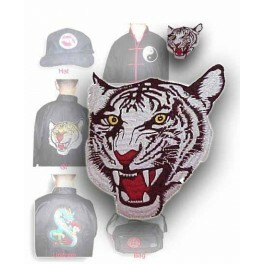 Patch-White tiger (front view) - Bok Lei Po Trading Inc.
Two sizes: 3" and 10"
White tiger (front view)-our top quality embroidered patches are specifically designed for the martial artist, these patches make great accessories to any uniform, hat, bag or jacket. 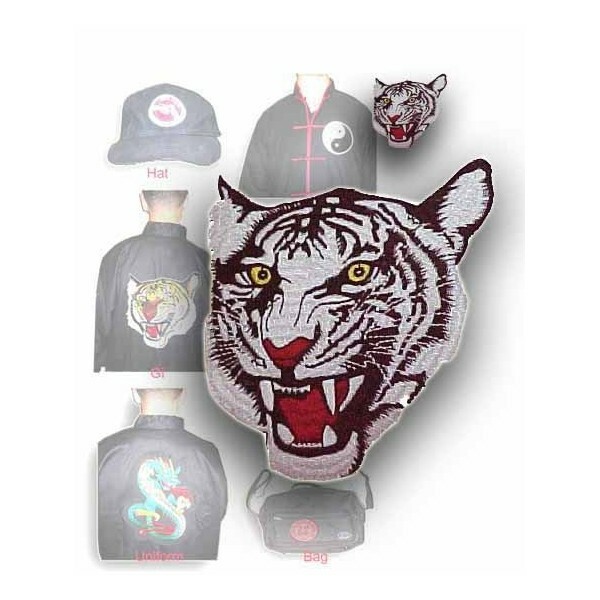 They are easy to sew on and they are washable too. We have a large of selection.